The European Centre for Women and Technology provides a European level meeting-place for leading public-private actors, academia and NGOs collaborating for measurably and significantly increasing the number of girls and women in technology in general and ICT in specific. ECWT serves as a European single point of contact for information, collection and analysis of data, research and the development of appropriate methodological tools to attract more girls to Science, Technology, Engineering and Mathematics (STEM), for nurturing and retaining women in the knowledge economy through industry and entrepreneurial careers, promoting the female talent to provide added value to ICT solutions, supporting more female ICT business start-ups and consolidating the largest network for closing the Digital Gender Gap in Europe. 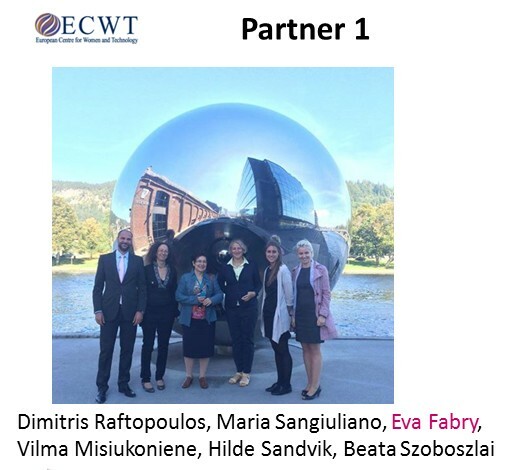 The ECWT strategy is implemented through National Point of Contacts established in 21 countries (2013) hosted by major leading public actors (CTI, Switzerland, Komptenz-Zentrum in Germany, MITA -Malta Information Technology Agency), corporate companies (SAP in Germany), universities (Aalto University, Finland; Università Ca’ Foscari Venezia, Italy; NTNU, Norway;Reykjavik Technical University, Iceland), SMEs (Global Contact, France, PROMIS@Service Luxembourg, DLII, Belgium), national ICT, telecom and trade associations(DI ITEK, Denmark, InfoBalt, Lithuania; PIIT, Poland, STIKK in Kosovo) and NGOs (ATI, Spain; BCWT – Bulgarian Centre for Women and Technology; KERIGMA in Portugal; Femei in Tehnologie, Romania; HEPIS,Greece; NaTe, Hungary, VHTO, The Netherlands). Inspire Yowup on ECWT website here.